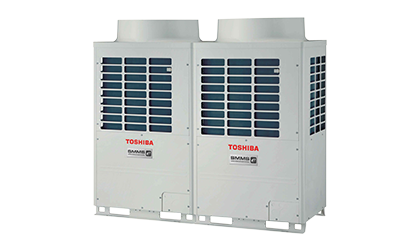 Toshiba VRF Top Discharge Smms -e , New Commercial Air Conditioning System Online in India. The SMMSe has been creatively developed and designed under the concept excellence, expansion and experience to ensure your utmost comfort and convenience like never before. With the latest technology improved and developed to make SMMSe the top commercial airconditioning for any solution that intelligently meets your needs, Toshiba will stop at nothing to create innovation to the evolution of the future, where life is a step away from perfection. Greater efficiency performance, High connecting ratio upto 170%*, industry leading installation flexibility, Smartphone connectivity for testing and commissioning, industry leading farthest equivalent length, industry leading height between IDUs, High reliability.